Today’s TuesTorial comes from Massage Therapy students, Veronica Mendez & Christina Lofrom La’ James International College in Des Moines. 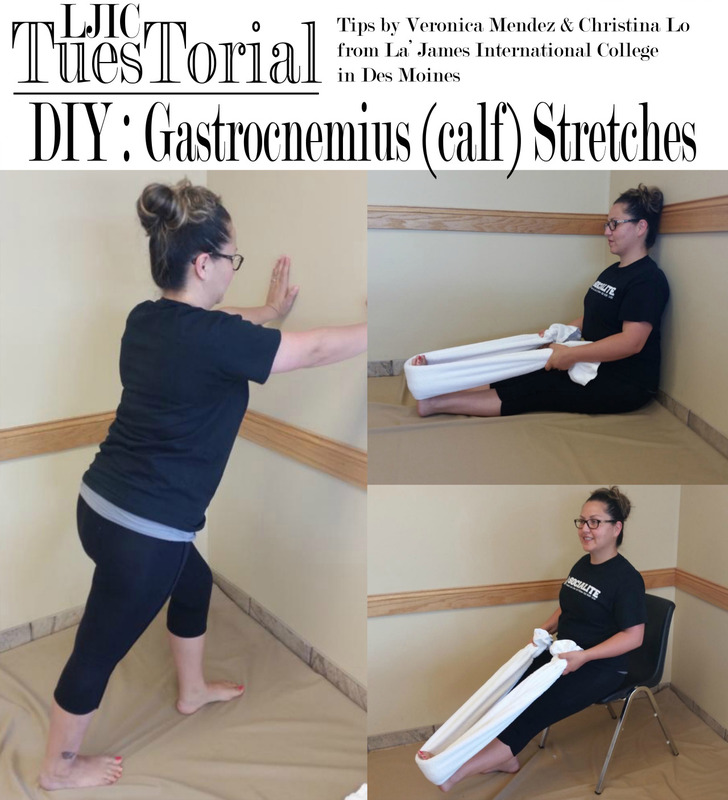 The following stretches are for theGastrocnemius [calf] muscle and can be modified in a few ways. Stretch #1: Stand upright and lean against the wall. Place one foot as far from the wall, making sure your toes are facing forward and your heel is on the ground. Keep you back leg straight while leaning toward the wall. Stretch #2: Sit on the floor with both legs extended. Loop a towel [belt or rope] around the ball of both feet. 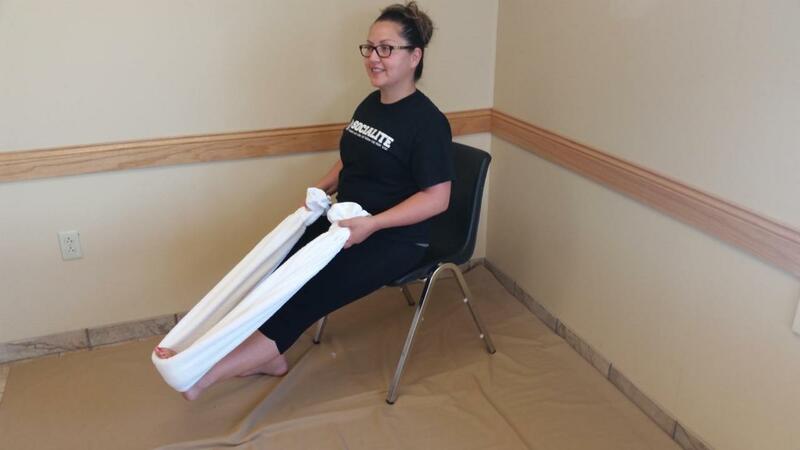 Pull both ends of the towel towards you while flexing your toes towards the knee. Stretch #3: If you find sitting on the floor to be difficult, grab a chair! Sit on the edge of the chair and follow the above steps. You can also do one leg at a time in this position. Great job Veronica & Christina! Thank you for sharing these great tips and for participating in today’s LJIC TuesTorial!